Sean's Massage Center in Columbus, Ohio. Sean McGrath has served several of the residents of Columbus, Ohio for over 19 years as a Professional Massage Therapist. 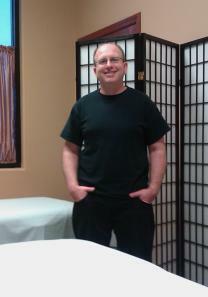 His training, knowledge, and experience amassed in his adult life allows this expert in alternative healing techniques to relieve pain and, in some cases, speed up healing the healing process from Sean’s Massage Center. Sean has two convenient locations to better serve the people in his region – Dublin/Upper Arlington and Pickerington. He and his staff are trained in a variety of modalities, and his massage therapy is part of the OSU health benefits. Using a number of techniques, he gives relief from common ailments like headaches, and backaches and more serious conditions like addictions and infertility. For example Reflexology is a method which focuses on stimulating “nerve zones” in the feet to effect positive relief from various other parts of the body. It is one reliable method used at Sean’s Massage Center. It is a proven remedy for nervousness or depression because it addresses the natural balance of the entire body. Heated stone therapy is another approved healthful muscular aid for treating backaches and other ailments. Some people have said Sean’s hands works miracles. His massaging skills have been helping men and women in the Columbus area for over 19 years. He has two convenient locations to better serve the people in his region – Dublin/Upper Arlington and Pickerington. Sean has had extensive training to became a high-caliber professional in his field. He received his Massage Therapy License (LMT) on January 16, 1998. After attending the Central Ohio School of Massage in Columbus, he then went on to complete a 670-hour series of courses in anatomy, physiology, and hygiene, which gave him a deeper understanding in applying his skills. He is now a member of The National Honor Society and The American Massage Therapy Association (AMTA). His additional credits include completing more than 200 hours of training in Advanced Myofacial Therapy/ Deep Tissue/Trigger Point, Lastone Therapy and earned his certification as a Lastone Therapist. He is also BWC Provider, Personal Injury Provider, and a Massage Instructor. Sean has an impressive list of clientele. He has performed massages for members of the NBA Cleveland Cavaliers and Sports Medicine Grant & Orthopedic Associates. Comfort is one of the goals at Sean’s Massage Center. Sean and his staff want their clients to feel comfortable when they visit in addition to relieving what ails them. They use Aveda oil on a warmed massage table in all of our services. Also, the customer is allowed to listen to soothing music meant to create an atmosphere of relaxation. Some of Sean’s specialties include full body massages, couples massages, reflexology, heated stone therapy, and other techniques. Also, the range of his proficiencies includes providing prenatal massages that are designed toward the specific needs of the expectant mothers. His specially designed massage table, allow a pregnant woman to lie comfortably on her tummy up to full term. To schedule an appointment at Sean’s Massage Center or receive our promotional material, you can call our clinic at (614) 327-4338, or go to the “Appointments” request page on our website. The details of your appointment will be confirmed by email.